Most of us consider coffee and caffeine in general to be the absolute worst thing for getting to sleep and having a full and restful night. This is good advice for the most part but actually there is one scenario where coffee can be particularly useful for sleeping – and that’s when it’s taken just before a power nap. Power naps generally are very effective for helping refresh our brains and give us a boost in attention, creativity, productivity and memory. As long as you keep your nap to about 20 minutes or under to avoid reaching deeper stages of sleep that cause you to wake up feeling groggy, you will benefit from a quick nap in terms of your mental energy and prowess. Coffee takes about 45 minutes to be 99% absorbed by the body but starts taking effect faster than that. This means that if you have a coffee about 10-15 minutes before your 20 minute power nap, it will then start kicking in and help you to spring up off the couch again once your nap is over – all of the positives without any of the negatives. Better yet, the nap will also improve the effectiveness of the coffee. To understand this, it’s useful to understand that one of the reasons we feel tired and groggy is due to a build-up of a substance called ‘adenosine’. This is a by-product of the energy-producing functions in our brain and as it collects we feel groggier and groggier. Sleeping then clears up this adenosine and that causes us to wake up feeling refreshed and ready to go again. 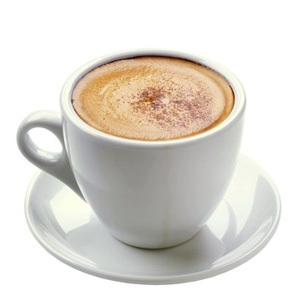 Caffeine meanwhile works at least in part by blocking adenosine receptors (the ‘A1’ receptors specifically) thus making us less susceptible to the effects of adenosine and helping us to feel more awake and alert. If you’ve just had a power nap though, then you’ll have less adenosine to start with and as such the benefits of the coffee will be even more pronounced. As a result, drinking coffee and then waking up after a 20 minute nap is an ideal way to give your productivity and mental energy a boost thanks to the 1-2 punch of the nap followed by caffeine. At the same time though, tolerance and dependence are real risks when using coffee and this can actually cause the brain to produce more A1 receptors to compensate (1, 2). This can result in a situation where you feel groggy whenever you are without caffeine and as such you perform worse. So in other words, caffeine is not something you should rely on and to maintain the positive effects and avoid the side effects, you need to ensure that you use it sparingly at times when you really need a cognitive boost. Don’t drink caffeine every morning, but when you need a pick-me-up try a nap combined with coffee for the best results!